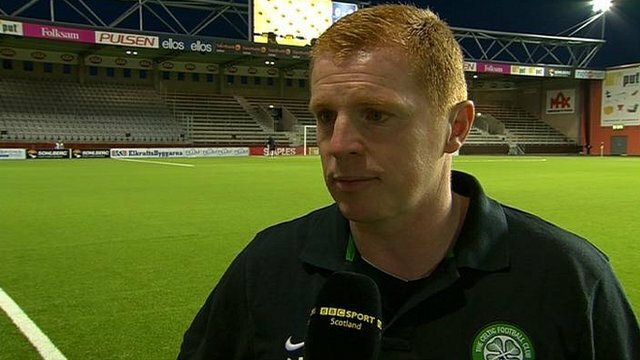 The emotion of relief was etched across Neil Lennon’s face as the full time whistle resonated around the Borås Arena, sealing Celtic’s safe arrival in the Champions League playoff round. A scrappy 0-0 in Sweden was enough to cement a 1-0 aggregate for Celtic over Swedish champions, Elfsborg. Celtic have started the season well on paper and are on course to reach the Champions League group stage as planned, but despite this, unconvincing victories have led sections of the Parkhead faithful to become concerned at the depth of Lennon’s squad, particularly in the attacking areas. The Glasgow giants cruised past part-timers Cliftonville as expected, narrowly defeated Ross County on the opening day of the season, and secured the narrowest of aggregate wins over Elfsborg, a side that currently languish in 4thplace in the Swedish top flight. Yes, Celtic are winning, but whether or not they can continue to successfully pursue a place in the Champions League group stage with the current crop of forwards is in serious doubt. During the 0-0 draw with Elfsborg, Celtic recorded just two shots on target. The isolated figure of Georgios Samaras, despite now being something of a fan favourite, looked ineffective. His 69th minute replacement, Anthony Stokes, was similarly foiled by the resolute Elfsborg defence. In a familiar way to all the other games so far this season, heads turned to Kris Commons to provide something special on his own, and on this occasion, he failed. On occasions like this in the past, all too often Neil Lennon’s men were bailed out by their prolific striker, Gary Hooper. Hooper scored goals in all competitions, and was as much of a threat to the likes of Barca and Spartak, as he was to Dundee and St Mirren. The Englishman found the net 31 times last season for Celtic, and his £5.5m switch to Norwich has left Lennon with a significant spot in his team to fill. Hooper’s departure sits nicely with the club’s overall, buy cheap, develop, and sell on policy, but only if another viable developing replacement is in place at the time. Without replacing these big players, particularly in attacking positions, the first and second goals become exponentially more difficult. True, given the absence of Rangers in the Scottish Premiership, a shift in transfer policy can be expected to some extent, but with the resources available at Celtic, a gulf of chiasmic proportions should still be apparent between them and the rest of the country’s top flight. The Champions League playoff will be the toughest set of matches of the season so far for Celtic, and without a striker with the ability to score 30 goals a season in the squad, Celtic could well flounder. Historically, Celtic have always seemed to come up trumps when it comes to obtaining forwards capable of scoring goals (in a similar way to how Rangers often seem to have relative ease in procuring a top-drawer goalkeeper, season after season). Not always a 53 goal a season Henrik Larsson; in the past we’ve seen the likes of Scott McDonald rattling in 31 in a season. Sometimes the big ticket signing isn’t required, it’s just a case of spotting a potential goal scorer. Hooper apart, this seems to be a skill that’s eluded Neil Lennon during his time in the Celtic dugout. The Northern Irishman has signed up several forwards, and for a variety of reasons, most of whom haven’t illuminated the league with their goal tally. The endeavour of Samaras is admirable, but he isn’t a natural goal scorer. Lennon has gone on record as saying he doesn’t think Anthony Stokes is “Champions League material”, and the likes of Tony Watt, despite his heroics against Barcelona last season, still has much to learn before he could be considered to be the finished article. You’d also forgive the fans for being slightly apprehensive about Lennon’s choice of transfer targets to fill Hooper’s boots. It’s early days yet, but Amido Balde looks as though he hasn’t impressed his manager. He looks to be little more than a cumbersome bench-warmer. There’s no question over his fitness, so it would appear as though he’s deemed as third or fourth choice striker at the moment based on training ground performances. Parallels could be drawn with Balde’s situation, and other strikers that Lennon snapped-up; Miku, Lassad, Mo Bangura, Pawel Brozek, and Darryl Murphy to name but a few. The Hoops boss’ record for procuring quality goal scorers appears to be questionable at best when you see the list of failures above. The countdown to the transfer window slamming shut is well and truly on, and the names of two strikers appear to be cropping up in the rumour mill over and over again: Kevin Doyle of Wolves, and Alfreð Finnbogason of Heerenveen. Doyle looks like the far more likely signing, given his willingness to join, and Wolves’ willingness to sell. The Irishman, despite being a tireless worker, is far from a goal scorer. His record of 27 goals in 135 games (around 0.2 goals per game) is hardly awe inspiring, even when compared to Celtic’s other strikers. The likes of Samaras outperforms him in a Celtic shirt, scoring 48 goals in 156 games (0.31 goals per game). Stokes too boasts a better record, finding the net 33 times in 82 appearances (0.4 goals per game), and even the much maligned Harold Brattbakk’s Celtic record compares favourably to Doyle’s, as he scored 12 in 44 (0.27 goals per game). Herenveen’s Icelandic striker Alfreð Finnbogason looks as though he could be an ideal replacement for Hooper. He’s just 24 years old, so resell value becomes a factor, and scored 28 goals in 33 games last season (0.84 goals per game). He managed to find the net twice in Herenveen’s opening Eredivise match at the weekend too, but a hefty touted price tag of £7m puts him well out of Celtic’s price range, if the transfer policy of recent seasons is anything to go by. Lennon’s next move had better be a good one. A healthy compromise, somewhere between a Doyle and Finnbogason could be enough to do the business in the Champions League and win favour with the Celtic fans, but the clock is ticking, and you can be sure that all top European clubs will be sniffing around for a 30-goal a season striker. Now, more than ever, the lack of a cerebral, ruthless striker at Celtic Park is apparent. Perhaps the urgency and importance of the situation will bring clarity to the Celtic boss and help him find the player he needs. The fans can only wait and hope. Over to you, Neil. Next PostNext Bring on the English! 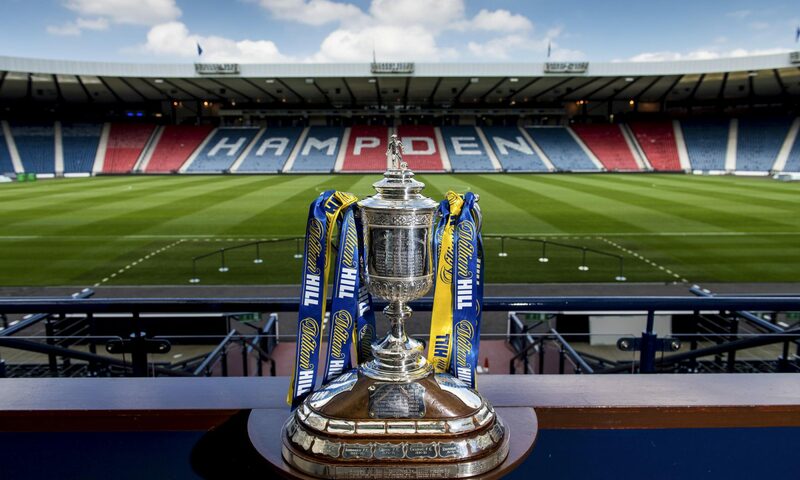 – After Brave Scots Lose At Wembley, The Tartan Army Want A Rematch!